A Cúig Celtic BraceletMeaning fi ve in Gaelic, the A Cúig bracelet is interlaced with fi ve fi ne, fl owing loops to each ornate link. This distinctive design is hand crafted from 9ct gold with the utmost delicacy to off er a subtle piece that combines traditional meaning with contemporary elegance. 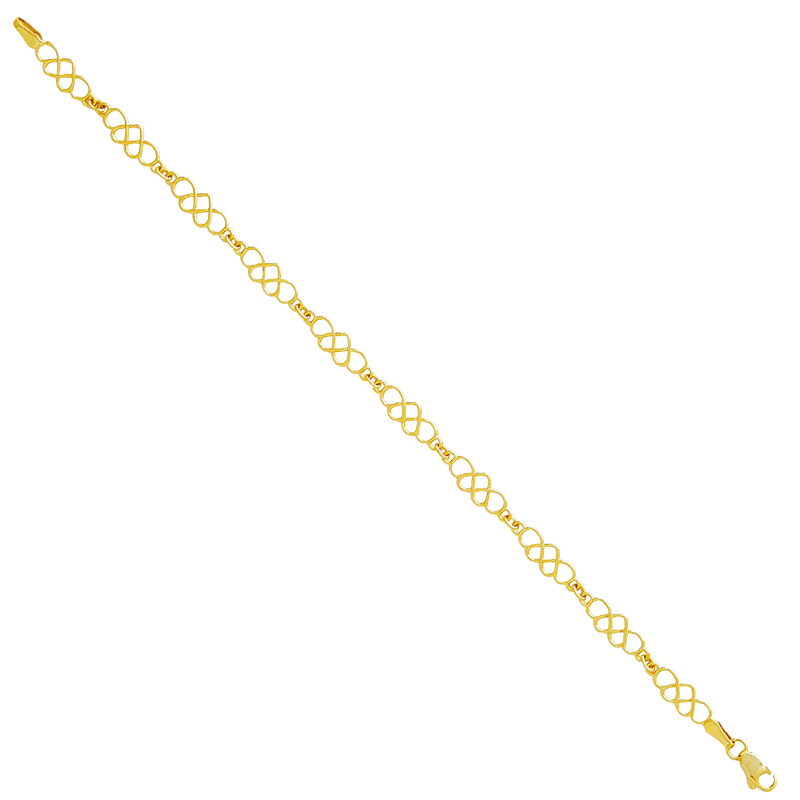 Bracelet length 7½" with lobster clasp.